Singer Mika Singh who has turned actor for his debut Bollywood film Balwinder Singh Famous Hogaya, was seen promoting his film. 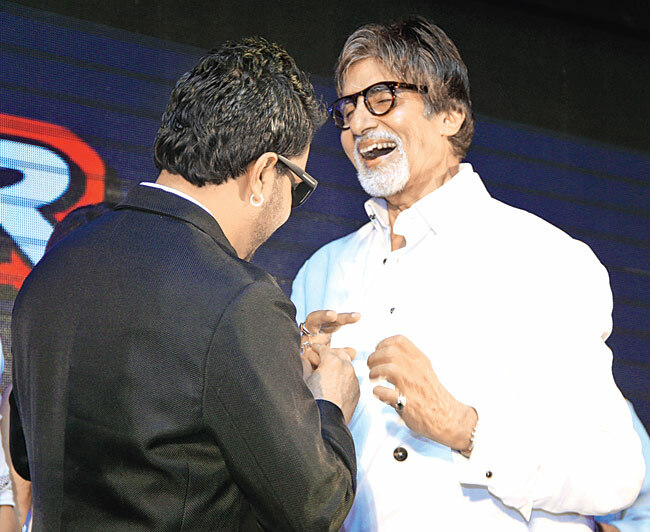 Bollywood Megastar Amitabh Bachchan graced the event to support Mika Singh for his acting venture. 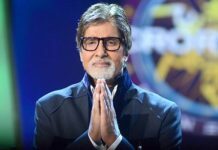 Mika was so touched by Big B’s presence that he gifted the veteran actor a diamond ring as a mark of respect. Mika Singh has always been known for gifting expensive things to his close friends. When he first met actress Rekha at an award show, he gifted her the Sikh Khanda locket as a mark of respect. Recently, Mithun Dada was gifted an expensive watch by him too. So was composer Pritam gifted a SUV car for giving Mika Singh a hit number. Mika Singh has sung many popular Bollywood numbers like Mauja Hi Mauja, Singh Is King, Ganpat Daaru la, Dhinka Chika, Pungi and the more recent chart buster Jumme Ki Raat. 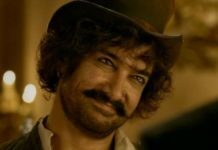 Now the actor is trying his hand at acting and will be seen debuting in Balwinder Singh Famous Ho Gaya which will release on late September.